Stop in for a variety of different crafts. 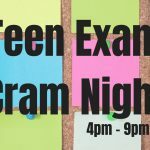 Crafters of all skill levels are welcome and all supplies are provided. 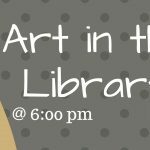 Crafts are geared towards ages 8 to adult, but we will also have kids coloring and crafts available. Saturday, January 5 @ 10:30 a.m. & 1:30 p.m. 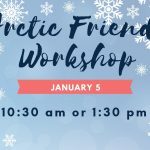 Listen to arctic stories and make your own stuffed animal friend. 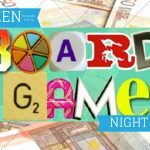 Due to supplies, participation is very limited and registration is required. 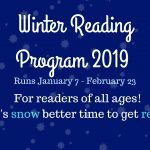 Register by contacting the library at (262) 253-7760. 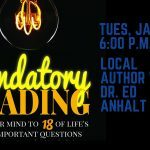 Join Wisconsin resident and professor Dr. Ed Anhalt as he discusses his book Mandatory Reading: Open Your Mind to 18 of Life’s Most Important Questions. Books available for purchase. Questions & answer session and refreshments to follow. 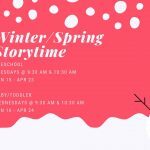 Meetings are held on the second Saturdays of the month at 9:00 a.m. at the library September – May. All are welcome to attend! 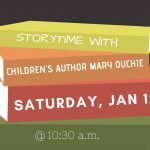 Join local children’s book author and Germantown High School special education teacher, Mary Fischer Ouchie, for a special storytime. Mary Ouchie will read Twirly Girl, a story about a girl with Autism who twirls to relieve her anxieties. The story is illustrated with art quilting and shows that everyone has potential and abilities despite difficulties in life.This book, as well as others by Mary, will be available for sale. 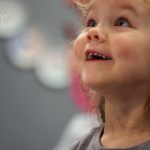 After storytime, there will be a craft. All ages welcome. No school and have the winter blues? Join us for a movie, hot cocoa bar and some popcorn! 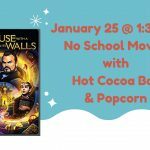 The library will be showing The House with a Clock in Its Walls (rated PG / 1 hr 45 m). 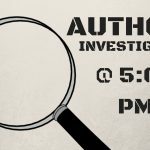 This event is sponsored by the Friends of the Germantown Community Library. Whether he is called “Ol Blue Eyes,” “The Chairman of the Board” or simply “The Voice,” Frank Sinatra has left an indelible mark on popular music. 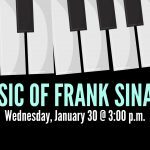 Join us for an afternoon of music with performer Johnny Martini as he performs classic songs of Frank Sinatra. Refreshments provided.